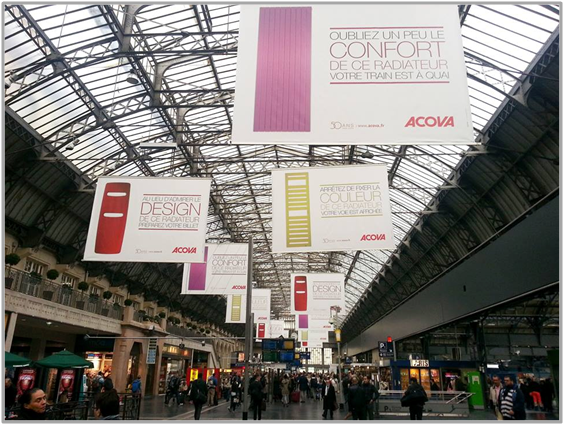 Acova, the French luxury radiator brand, warmed up train stations this October half-term. Makheia designed 4x3m posters showcasing the brand’s radiators, with a quirky slogan telling travellers that they would have to give up the warmth of the radiator or miss their train. The aim: to highlight the radiator’s features (design, colour, and comfort). The campaign was rolled out across 12 train stations in Paris and around France, running for one week. › The value of our IPA membership.